The legend that is Boris, the scent specific Trailing Dog with SARDA Wales has hung up his harness for the last time. At the training weekend just gone Boris’ handler Steve announced that after 7 years on operational duty with SARDA Wales it was time for Boris to have some much needed rest and he would be retiring due to age related health issues at the age of 11. Boris first qualified in 2012 and upgraded to Full Mountain Trailing Dog in March 2013. He has been deployed on over 200 jobs since then in the search for the missing person and has been hugely successful in that time. As a team they have assisted in searches in every Mountain Rescue search area in mainland UK, from The Highlands of Scotland to South Wales. Boris worked tirelessly during the search for April Jones in Machynlleth 2012 and has appeared in the recent BBC series “Reported Missing”. As well as keeping up regular training and attending call outs, Boris has inspired the next generation of Trailing dogs coming through not only SARDA Wales but other organisations across the country. The time and effort put in by “Team Boris” (which includes his handler Steve and navigator Elaine) has saved hundreds of hours of searching by teams of people, given closure to many when maybe the outcome of a search had not been as hoped, and passed on their knowledge to ensure the next generation of Trailing dogs learn from Boris and those before him from whom he learnt. 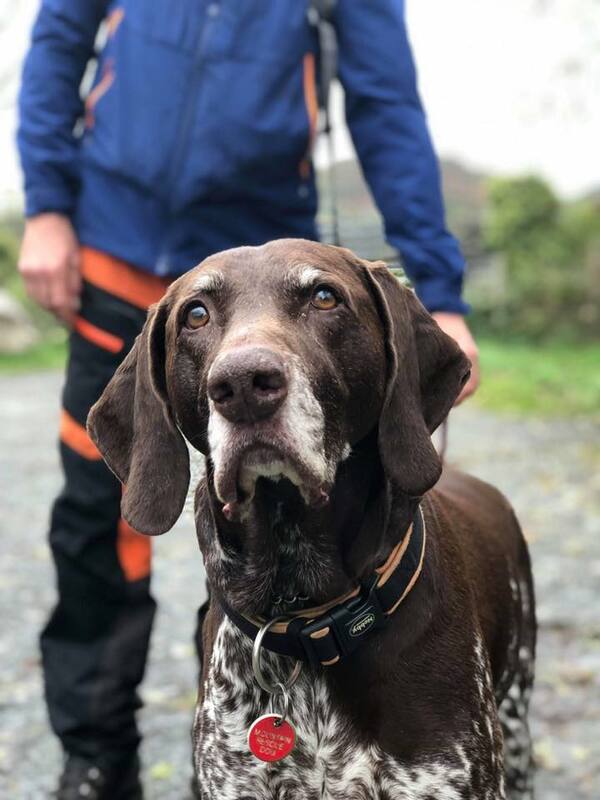 So as sad as it maybe to see a Search Dog retire, Boris has left quite a legacy and we at Search and Rescue Dogs Association Wales would like to Thank You from the bottom of our hearts and hope you have a long and happy retirement.